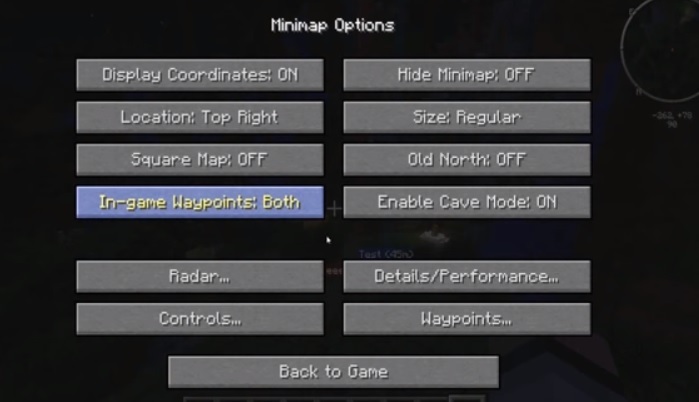 Zan’s Minimap (also known as VoxelMap) is a modification for Minecraft 1.14/1.13.2/1.12.2/1.11.2/1.10.2 that adds a fully functional minimap (like the ones in WoW, Guildwars) on the right corner of your screen. Zan’s Minimap is very similar to Rei’s minimap but it has some extra options for customization. It has support for square map, waypoint beacons, death marker and better rendering. 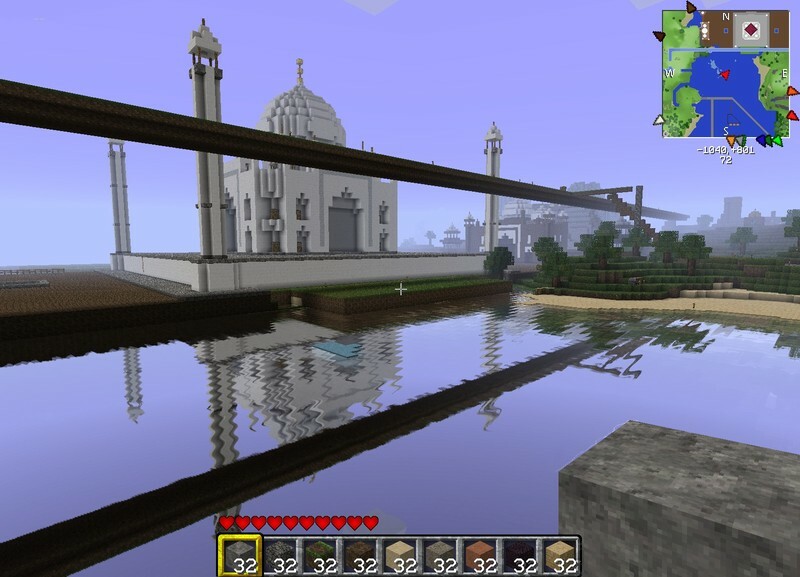 Also, it gets updated quickly as soon the new Minecraft version releases. Note: Download Liteloader and run its installer. Then get the Voxelmap mod file from link above. After that go to /.minecraft/mods folder and put the litemod file there. Finally, launch Minecraft using Liteloader profile. The installation procedure below is for v1.7.2 and earlier versions..
Download and install latest version of Forge API or Modloader. 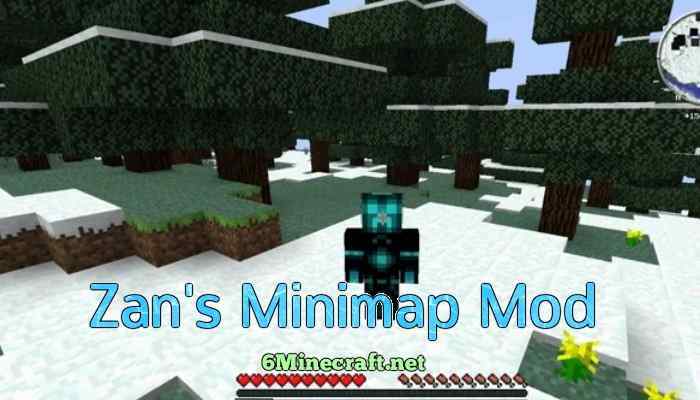 Download Zan’s minmap from the link above. 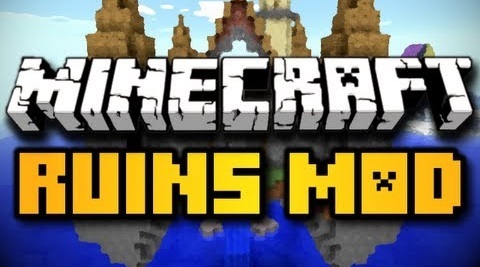 Go to Start Menu > Type %appdata%/.minecraft/bin and press Enter. Also, delete META-INF folder in Jar to avoid black-screen issues. Launch Minecraft and check if mod is properly installed. Make a back-up of your Minecraft.jar before trying out this mod. It’s recommended to install this mod on fresh copy of game. This mod was first developed by Zaneris then Lahwran contiued its development for short time. Do you know how you can get the map to show up the extrabiomes blocks and trees? I’ve tried looking and couldn’t find it. does this work with nodus? it’s only for a QWERTY keyboard!!!! It won’t install! I put the files into the minecraft.jar but still, when I started up minecraft it didn’t register it. 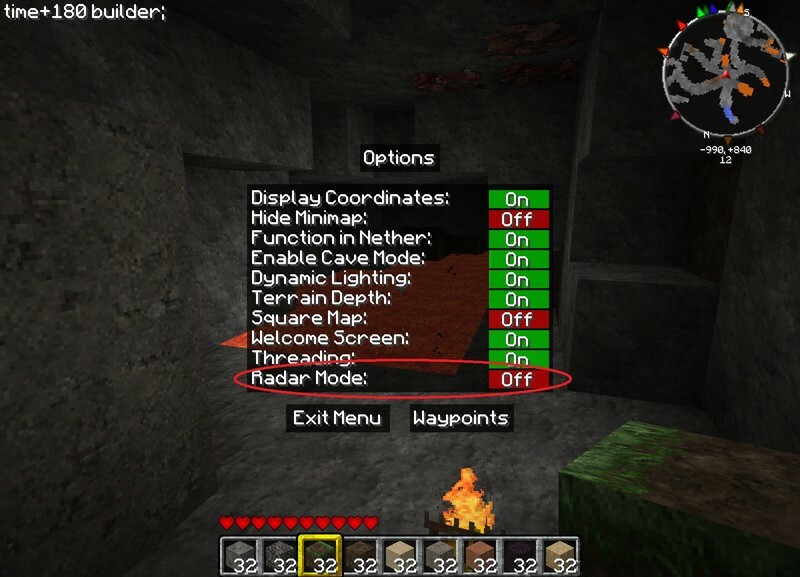 All you need to do is install forge 1.6.4 though a lot of people forget to do this…then run the game normally to get the mods folder to appear, then back out, place the zip file in the mod folder and start the game back up…voila, now you can play with the minimap. Hope this helps. Also: You need the most recent version of forge for 1.6.4 for this to work, v9.11.1.965 is the most recent. Again, hope this helps. I have the same problem, there’s no meta-inf folder in the jar, and didn’t copy the readme.txt but it’s like i haven’t installed nothing, help! I was going to to a mod review on this but it wont work, even for me! and plus Sky doesn’t even do mod reviews anymore. Yeah, actually, he does. It’s just rare. You must only to drag the zip file into the your mods folder. Guys you have to find “1.6.2.jar” thingy, META_INF is there! Ive noticed when switching to a different world on my server the waypoints still show, is there a way to hide them so they dont carry over to other worlds? I am just downloading it today. I’m a new player, and I think that this mini map will help a lot if I get lost. How do you install it on a Mac? I have MC 1.6.4 with Forge. There is no Minecraft.jar file. Freaking Put it in ur mods folder! Doesn’t freakin’ work! Forge only lists the three built-in mods. Also putting it into the jar doesn’t work. Also, why is every tutorial still telling to use the /bin/minecraft.jar when it’s obsolote for so long? The jar files are now in the /versions/ folder. Does this mod work in conjunction to other mods? Specifically the Pixelmon mod for 1.6.4? http://www.youtube.com/watch?v=4VynkGgCWLQ&feature=c4-overview&list=UUm3jAq1G09kbWHVyGAWdqlw Simple Installation video for those of you who need help. I can run this mod on the client, not problem (using minecraft forge). For the time being I resolved the issue by installing the server into a separate folder and removing this mod from the server folder. It’s not a big deal to have them in 2 places, but not the easiest way either. 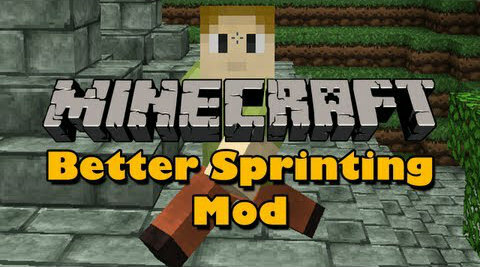 This is an awesome mod and i would really like to use it for my modpack, is this okay with you? I wanted some thing that every one on a server would be able to see. The idea is to create and waypoint where everyone can see it. Is this even possible. I tried adding this mod to my server and it crached my server. I added to my minecraft game with out errors or crashes. Hey when I install the map I open MC and the space where the map is appears me on white any solucions? 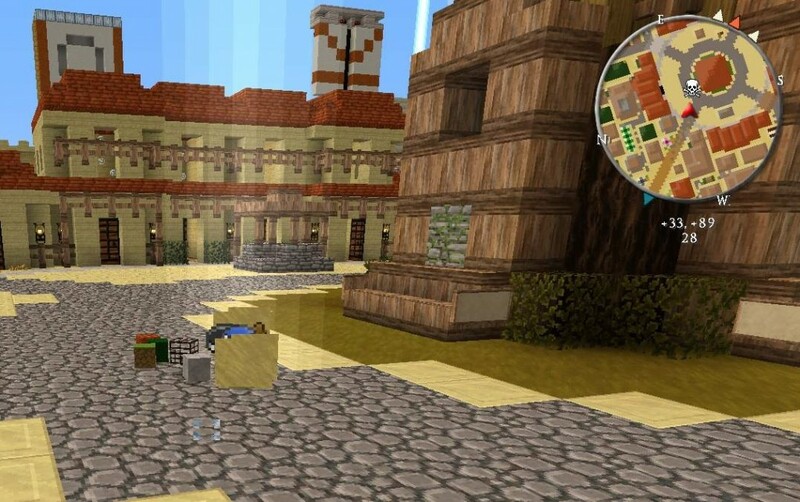 Can this map track Herobrine?